Yu-Gi-Oh! 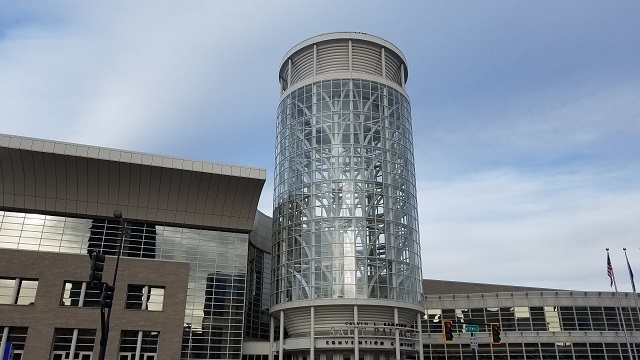 TCG Event Coverage » Welcome to YCS Salt Lake City! Home > 2018/03 - Salt Lake City, UT, Yu-Gi-Oh! 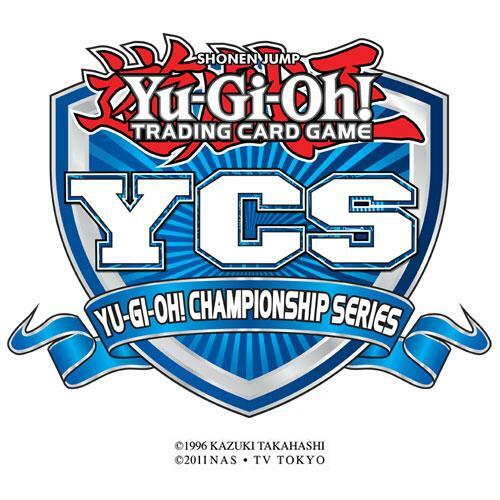 Championship Series	> Welcome to YCS Salt Lake City! The Yu-Gi-Oh! Championship Series is back, this time in Salt Lake City, Utah! The most recent Yu-Gi-Oh! Championship Series event was just a week ago in San Jose, Costa Rica. Now the YCS circuit is back, with its first-ever event in the Beehive State! Last week in Costa Rica, we saw True Draco, Trickstar, World Chalice, Lightsworn, Cubic, Mekk Knight Invoked, and Pendulum strategies make the top cut, creating an interesting and diverse Top 32. We can expect to see similar results here in the Salt Palace Convention Center this weekend. The legal card pool for this tournament is the same as it was last week, with one big exception: The Extreme Force Special Edition was released just yesterday, and the cards available in it are legal for this weekend’s tournament. That includes the two brand new cards that will be re-released in the upcoming Flames of Destruction Booster Set: Mekk-Knight Avram and Called by the Grave. Mekk-Knight Avram is a Normal Level 4 Monster with 2000 ATK and 0 DEF. It’s a relatively simple card. Called by the Grave, on the other hand, is a new Quick-Play Spell Card with a neat effect that has powerful interactions in the current Advanced Format. Called by the Grave banishes a monster from an opponent’s Graveyard. Then, until the end of the next turn, the monster’s effects are negated, as well as the activated effects and effects on the field of monsters with the same original name. Initially, you may notice that Called by the Grave can be used as a counter to cards that revive or retrieve monsters from the Graveyard, and functions a bit like D.D. Crow. You can use it against Monster Reborn or Soul Charge to banish a monster it targets, or use it against any other card that moves a monster out of the Graveyard. But Called by the Grave’s ability to then negate that monster’s effect and the effects of all monsters with the same name until the end of the next turn has far deeper implications. If your opponent uses the effect of any monster on the field while he or she has a monster with the same name in his or her Graveyard, Called by the Grave can be used to negate the effect. More importantly, monsters that are sent to the Graveyard to activate their effects are always vulnerable to Called by the Grave, since Called by the Grave can be Chained to their effects to banish them and stop them. Popular monsters like Ash Blossom & Joyous Spring, Ghost Ogre & Snow Rabbit, Droll & Lock Bird, and Ghost Reaper & Winter Cherries – all of which were reprinted in Legendary Collection Kaiba – will be banished and have their effects negated if Called by the Grave is Chained to them. Since all of these cards are popular in competitive Yu-Gi-Oh! TRADING CARD GAME tournaments, Called by the Grave is likely to have a big impact this weekend, even though it was just released yesterday! The Duelists are gradually entering the Salt Palace Convention Center. They’re readying their Decks and putting finishing touches on their Decklists with the hopes that their preparation will give them an edge in the tournament. The day is young, and there’s a lot of Dueling ahead. Welcome to YCS Salt Lake City!